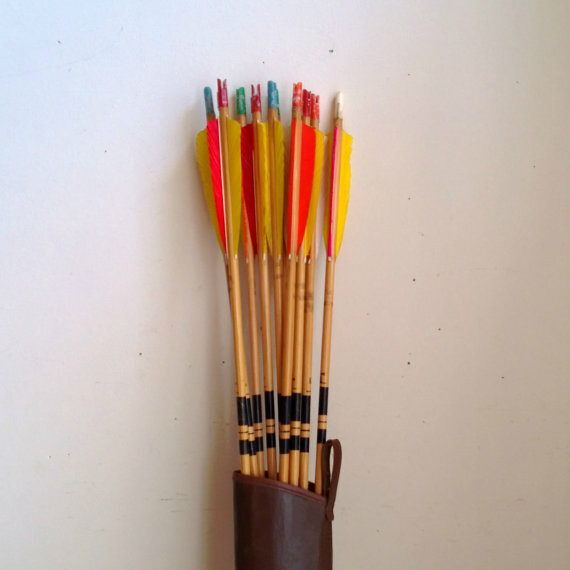 My husband has a full quiver of arrows, if the psalmist’s analogy is accurate. When I met him seven years ago, it was love at first sight. I was a single mother of two adolescent daughters, and he was a single father to one. His girl was the same age as my oldest … on the cusp of 14. If you know anything about teenage girls, you know about age 14. Brutal on both child and parent….14 is parental boot camp. Fourteen is a fiery raining down of arrows. When we were dating, my Beloved swept me off my feet with romance – but really wowed me with his fathering abilities. His daughter was his heart….and because she was – he melted mine. He was so committed to her and to the job at hand – being the best Dad he could be. “Love at first sight” morphed into “I thee wed” in a year. In taking vows with his wife, my husband went above and beyond in assuming the daily fathering duties of his new wife’s daughters. The carpooling, trips to the dentist’s office, and buying the school supplies. This previously single father of an only child tripled his “dad-ness” factor overnight. All three daughters lived with us in our “blended” family, all the time. Often, we wondered if the family-mixer was on “puree” instead of “blend.” The girls were at the mercy of our love for one another. After all, our daughters hadn’t fallen in love with one another, but were arrows in the same quiver, nonetheless. If parenting teenagers is walking through a minefield, step-parenting is navigating a minefield during a hurricane while under nuclear attack, without even having had the benefit of boot camp. INTENSE. For all of us. Through the usual growing pains of our daughters’ having boyfriends, breakups and broken hearts (and yet more boyfriends) – he offers advice and more importantly, sets the bar for how they should expect to be treated by the way he treats me. Through graduations and awards, he lets them all know he is proud. He has sat through three times more middle school band concerts, chorus performances and class plays than he ever imagined when he was the father of one child. He could have shirked some of this extra-mile “reward,” and still have been the bravest man I’ve ever known. He could have done much less and still have been a good father. But in true warrior style, he gave it his all. And still does, to this day. He has been through 14 three times now, and not only survived, but learned to smile. Our daughters are all young adults – one is a married woman herself now. Our little pureed family – which surrounds him in chaos, estrogen-laden crisis and drama – is strong. Because my husband is strong, and committed to the job. How joyful also is the man, and the family who loves him. The bravest man I know. I see what you do, every day. When a man becomes a father, a real man steps up and gives it his all. I think it is God’s true test of a man’s character, faith and love. I had a father that certainly passed this test. And when a father becomes a stepfather, he is tested again. It certainly seems that the man you fell in love with was absolutely able to pass that test twice with flying colors! My hat is off to him. It takes true faith, character and resolve to take on that test twice. Way to go Mr. Jana 😀! And Jana, well done. 🙂 Thank you, and thank you. I am so glad you had a good father, Tina ❤ Love and prayers to you today! I am so grateful for your readership, and for you.